Lemon Hart is an iconic rum brand with roots which stretch back to the late 18th century when Mr. Lemon Hart began to supply rum to the British Royal Navy. By 1804, production of his “Lemon Hart Rum” was moved from his small merchant office in Cornwall, England to a larger facility in London. Over 150 years later the rum was no linger being produced in England, rather the blend was being produced at the Hiram Walker Distillery in Ontario, Canada. True to its roots as a Navy Rum, the brand remained a Demerara blend with the base rum bulk shipped from Guyana to the Hiram Walker Distillery where it was aged and blended with 1.5 % Canadian Rum for tax purposes. It was during this time that Lemon Hart 151 Demerara Rum became a relatively famous cocktail rum. In fact, the rum is called for by name in many of Trader Vic’s and Don the Beachcomber’s tiki recipes. However by the early part of the 21rst Century, Tiki culture had all but disappeared and the importance of the Lemon Hart 151 had diminished to the point that the brand owner (now Pernod Ricard) decided to divest itself of the brand and sold Lemon Hart to a Canadian concern namely, Mosaiq, of Dorval, Quebec. Mosaiq has changed things a little. The rum is now blended with 100 % Guyanese rum, and all of the rum is aged in Guyana rather than in Canada. (It is bottled in Canada by the Newfoundland and Labrador Liquor Corporation (NLC) for Mosaiq.) I was told by Mosaiq that all of Guyanese marques for this the rum have remained the same as before. 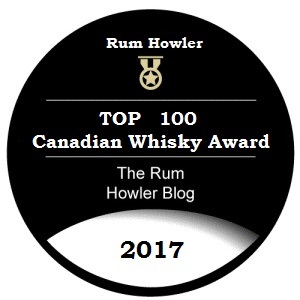 Thus the difference between the old blend and the new blend comes down to the scrapping of the Canadian rum content (1.5 % of the volume) as well as the differences which aging in Guyana rather than in Ontario, Canada will impart to the final rum. According to Mosaiq, there is a slight difference between the old and the new rum, with the new Lemon Hart Rum being slightly richer and fuller than the old. I wish I had a bottle of the old blend to compare against. Since I do not, my review will concentrate solely on the merits of the newest blend. To the left is the new bottle presentation for the Lemon Hart and Son Overproof 151 Rum. The bottle is a typical bar room style bottle which is designed to be easy to pour and to fit easily on the bartenders shelf. As usual, I would prefer that the screw cap be scrapped in favour of a nice corked enclosure. The Lemon Hart 151 carries a dark reddish-brown colour into the glass and a powerful somewhat astringent aroma into the air above the glass. The rum is bottled at 75.5 % alcohol by volume, and the evaporating alcohol gives everything a big push into the air causing this astringency. I can smell molasses and rummy burnt caramel which seems to come in waves at me. Dark dried fruits like prunes and raisins rise up as well in a bouquet that despite the astringency is very complex and enticing. Baking spices build quickly, and smells of rich brown sugars enter the fray as well as the sweet aroma of canned fruit (peaches and apricots). When I sipped a little of the rum at full strength, I found it to be a bit of a mouth numbing experience. Burnt caramel, dry fruit and dark molasses were all apparent, but the experience of sipping a 151 proof spirit was just a bit too much for me to take seriously in an exercise where I am expected to have solid tasting notes. Fortunately, this is not the manner in which this spirit is intended to be tasted. So before I continued, I poured my 1/2 ounce sample into a glass of cola. I found I could taste the influence of the Lemon Hart very strongly in the cola as accents of dry fruit abounded in the glass. Prunes and dried apricots seemed to be in the lead, but other flavours and spices seemed to be pushing their way forward as well. Cinnamon, and cloves, baked apples and pears, and even some light flavours of black licorice were evident. Of course, mixing with cola isn’t really how the Lemon Hart 151 is supposed to be appreciated either. As part of my review I decided to try a few cocktail recipes to see for myself what all the fuss is all about. I started with a recipe, the Guyana Zombie which I discovered on Tiare’s website A Mountain Of Crushed Ice. 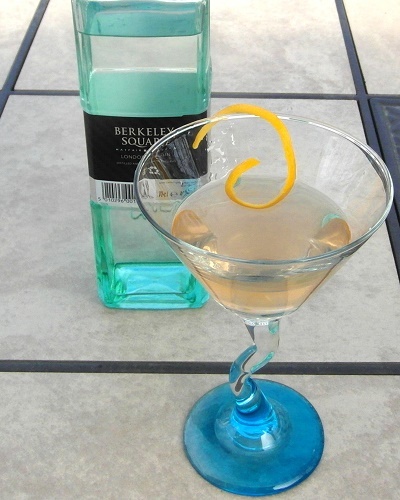 I followed this up with my recipe, the Hart Breaker (see both recipes below). It was in these cocktails that I really found a soft spot for the Lemon Hart 151 Demerara Rum. Both cocktails were extremely nice, (although I admit the Guyana Zombie gives your tonsils a nice swift kick on the way down). The Lemon Hart 151 adds a high-octane boost to your cocktails especially when used as a float on a Zombie. It seems to carry ribbons of dry fruit into the finish, and a sort of semi-sweet exotic spiciness which lingers afterwards. I like this rum. It is not a sipper, and it’s not really a Rum and Coker. 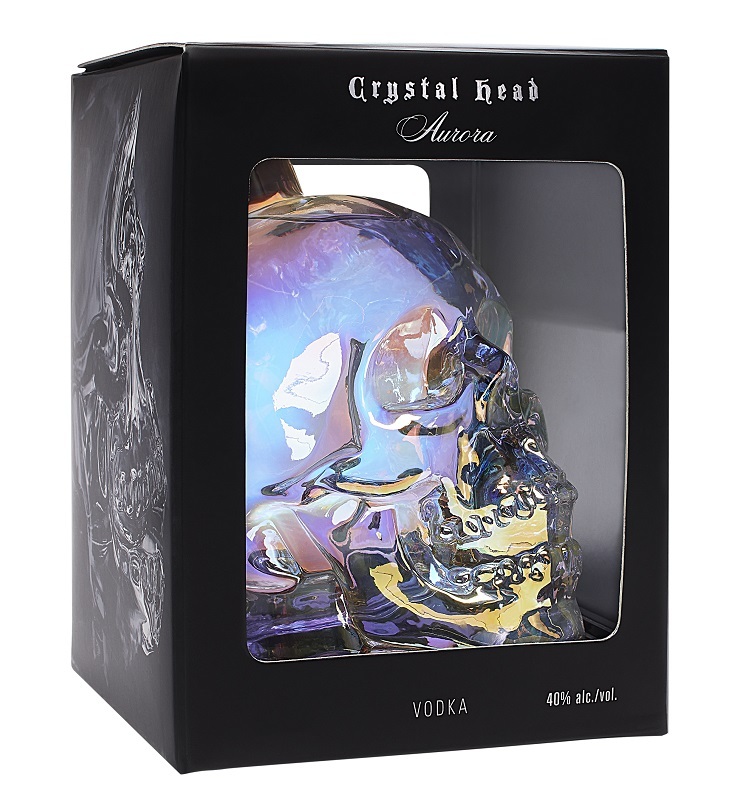 Instead it is a more complex beast of a rum which finds a home in fun, exotic style cocktails. I will warn you however, not to mix this in any sort of quantity into those cocktails. The flavours of the Lemon Hart 151 are concentrated, and its alcohol content is concentrated even more. A little goes a long way…. This cocktail highlights the exotic flavour of the Lemon Hart 151 Rum quite nicely. And of course …. enjoy! My second recipe, the Guyana Zombie, is from Tiare’s website called, A Mountain Of Crushed Ice. The recipe is not for the faint of heart, and I suggest that one ration per evening is more than sufficient. Pour into goblet with more crushed ice. Garnish with sprinkled Demerara sugar, lime wedge and a brandied cherry. Enjoy this wonderful recipe from Tiare responsibly! I have added water to dilute it to about 40% and the palate began to taste rubber like. Is there anything in the process of making the rum that can impart this flavor? I expect that the rubber like flavour you experience at full dilution is a natural characteristic of the rum. Thank you for your response AW. I like the tarlike aromas any day, but what I meant was rather the palate felt like I’m chewing on the old rubber hose; bitter and disintegrating in my mouth, that I could not detect at near full strength for whatever reasons. Is it possibly a fault in the distilling process itself like actually using the old rubber hoses? Where is it coming from? I had only once tasted the same palate character in cheap Armenian brandy ( I do not remember the name ) and so – maybe I am paranoid – but I’ve been suspicious about the quality control during distillation or bottling of any product tasting remotely similar. I’ve got no answers for what you tasted as what you describe is not consistent with my experiences with the Lemonhart. If it reassures you, I was in Guyana last year and witnessed their fermentation and distillation plants. No rubber hoses in site. The product is shipped in bulk to the Newfoundland and Labrador Liquor Corporation where it is bottled in their St. John’s Plant. I haven’t been there, but I doubt rubber hoses are anywhere to be found either. So like I said, I have no answers for you. This makes me thirsty, and brings back memories.